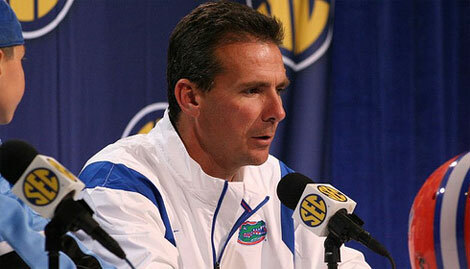 Eye On Sports Media: What Did We Not Learn From the Urban Meyer Presser? What Did We Not Learn From the Urban Meyer Presser? After all of the wait and expectation for the just concluded Urban Meyer press conference, was anything really answered? Or were the questions that were asked, but not answered, more telling? And if they were more telling, does the public have a right to know? Given that the University of Florida, a PUBLIC institution, is paying the coach $4 million a year, maybe people do have a right to know. Then again, if he his paid with private foundation funds, maybe they do not have the right. Either way, people will still want to know, and all this press conference has served to do is raise the ante on speculation. Game, did not answer or say may be more telling than what was said. Eye on Sports Media/2008. Whenever Meyer said he did not want to answer any questions about medical problems or what doctors said, follow ups did not happen. Reporters, who showed no arms length relationship by addressing him as "Urban", not "Coach", let it go. But one reporter included a statement leading up to a question, saying that it looks like he has lost around 20 pounds in the past few weeks. This statement alone accomplished one thing: it opened up the speculation can even further. So people will not let it go. It may be prudent for Meyer to avoid the Tiger Woods approach with silence, and just put everything on the table. That may actually help ease the external pressures. In the meantime, let's all wish Coach Meyer the best, no matter what what rabid college fans think about the coach or the Florida team. And let Meyer's one sentence sink in: "If you do not have [three] children, you will never understand."